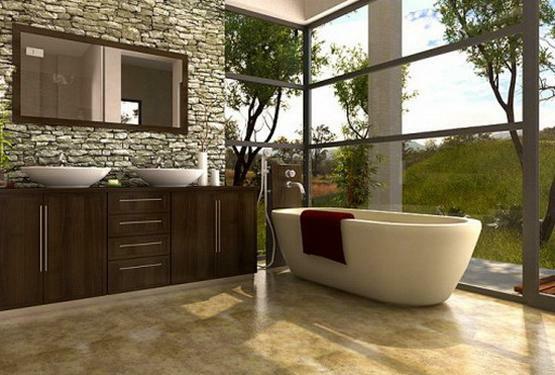 Minimalist style is one of latest trends in bathroom design that calls for elegant simplicity and functionality. 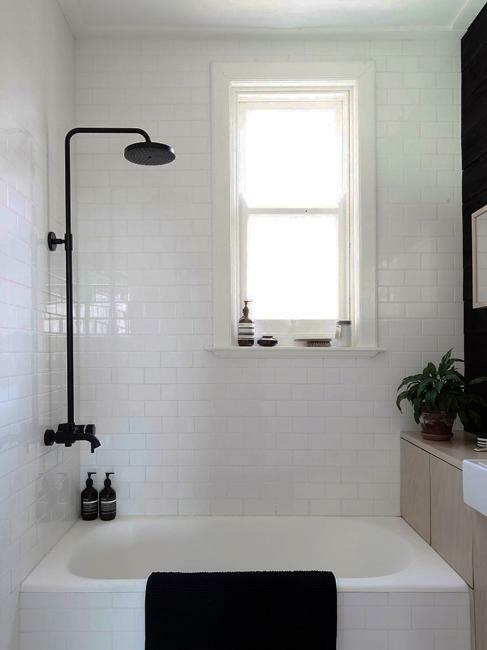 Ideal for decorating small spaces, the minimalist style visually stretch small rooms and add a contemporary, chic look to the functional rooms. 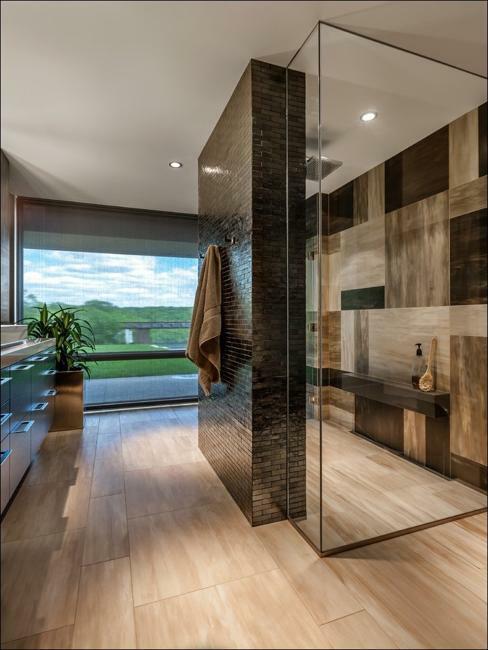 Lushome shares home staging tips and bathroom design inspirations to help its readers turn their bathrooms into luxurious and modern interiors in a minimalist style. 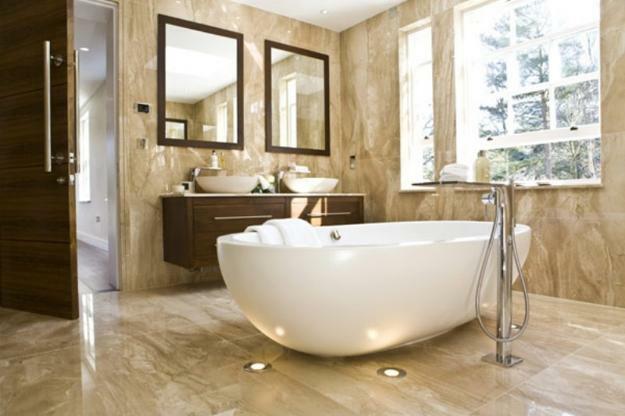 Classic style bathrooms offer warm and beautiful places for relaxation while the contemporary minimalist style reminds of the coolest ideas and latest trends, – practically and elegance of clutter-free interiors. 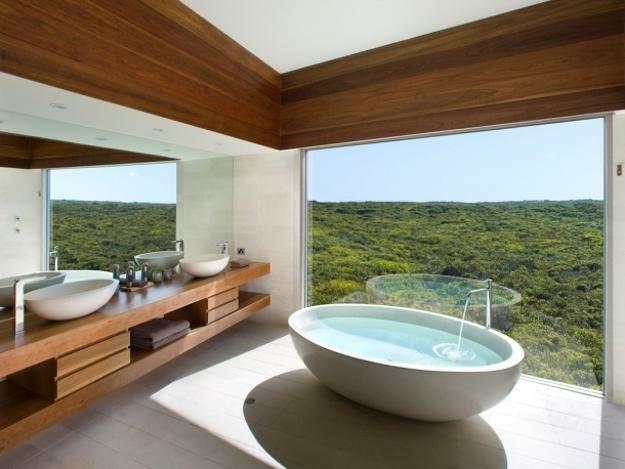 Busy people appreciate the simplistic approach to bathroom design. Being able Getting ready for work quickly, easy cleaning and low-maintenance interior design are factors of paramount importance for them. 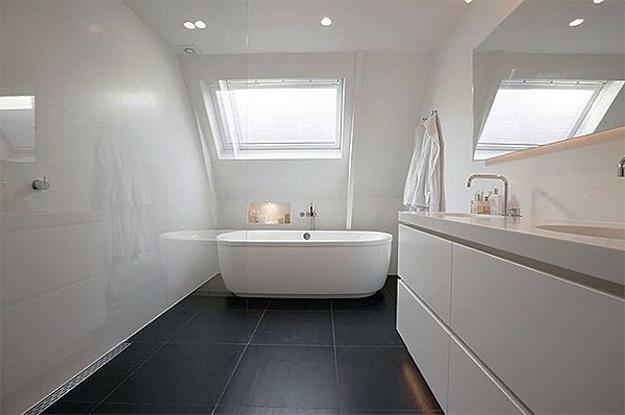 Minimalist bathroom interiors are practical, efficient, and time-saving. 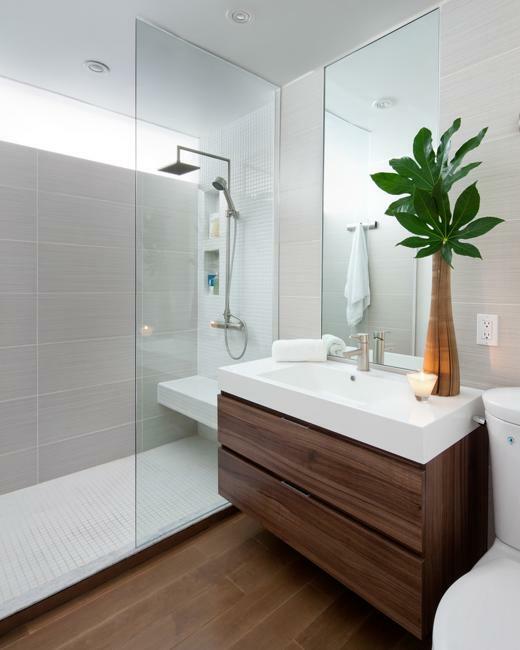 The minimalist style blends simplicity, elegant chic with ergonomic design improving modern bathrooms and stretching small rooms visually. White decorating ideas bring freshness into the interior, and neutral colors offer the fascinating versatility of the neutral color schemes while promising soothing and pleasant experiences. The neutral colors provide marvelous background for decorating with textures and bright accents. 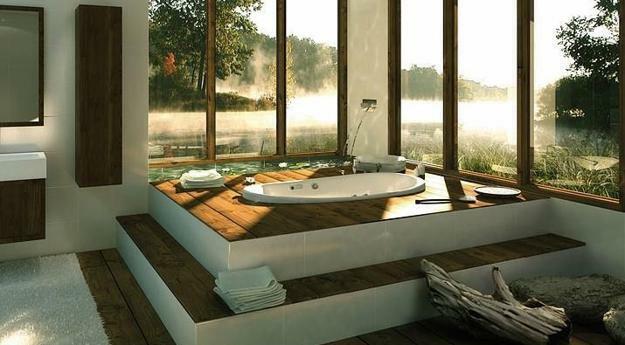 Functional simplicity and elegant geometric shapes create the beauty without decorations. 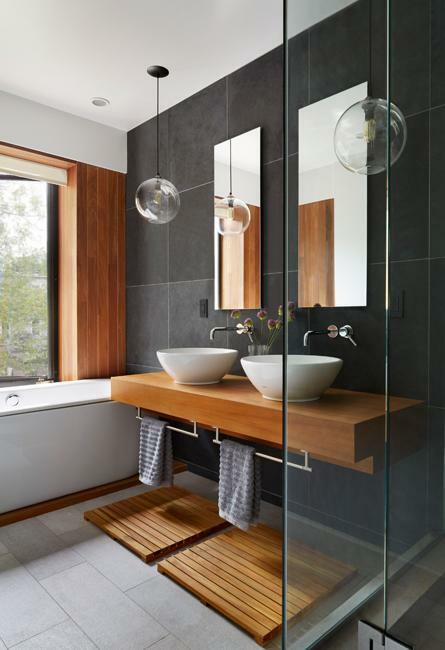 Unframed mirror frames, rectangular, round or oval sinks and bathroom tubs, light window treatments and contemporary glass shower doors accentuate straight lines and organic curves. There is no room for traditional decorative accessories. Everything is functional and easy to use. 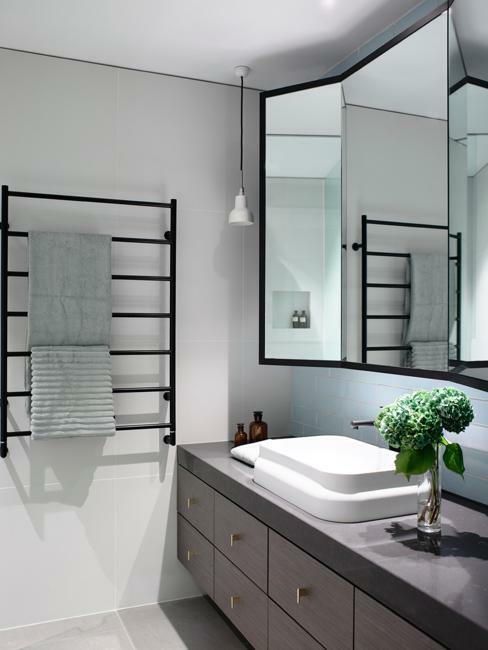 Open shelves are clear of many items that make decorations in traditional bathrooms. 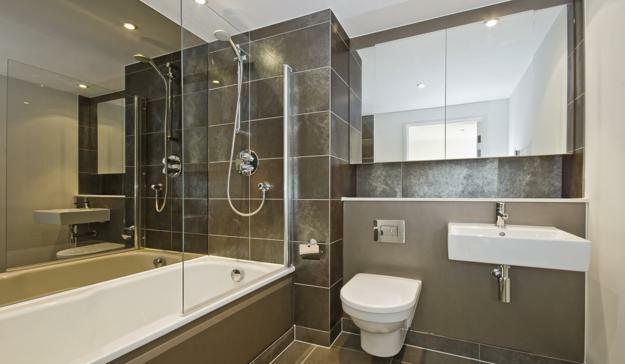 Ergonomic bathroom design strike for creating functional interiors while adding more comfort to small spaces. 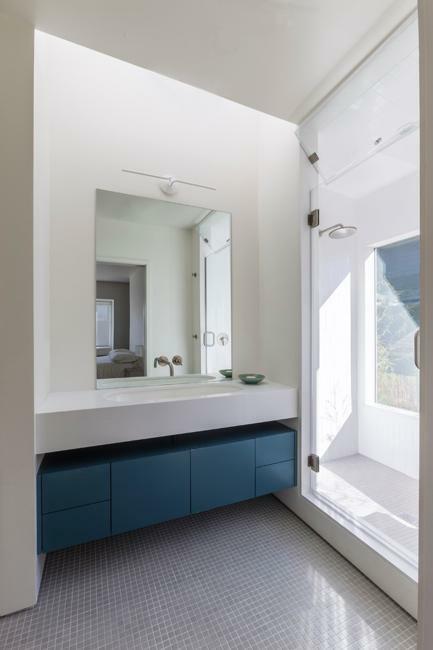 The areas are intended for individual tasks and feature convenient storage which helps keep the bathroom look airy and neat without sacrifizing the clear look. White decorating ideas are strikingly attractive and fresh, perfect for balancing small rooms and decorating with bright accents. Gray color tones and all brown colors are ideal for creating dynamic contrasts. 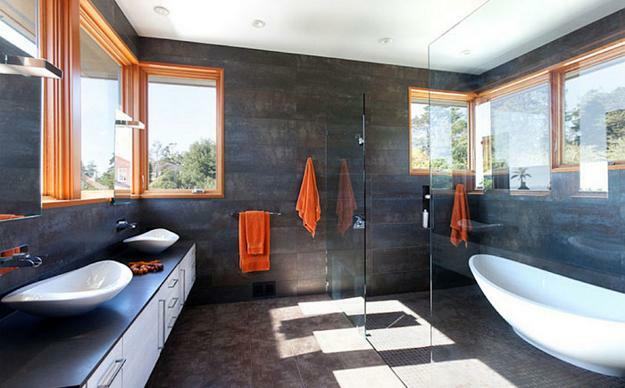 Blue or warm orange color shades make gorgeous accents to the white decorating, but green colors are the best choices for adding a natural, nature-inspired look to minimalists bathroom designs. 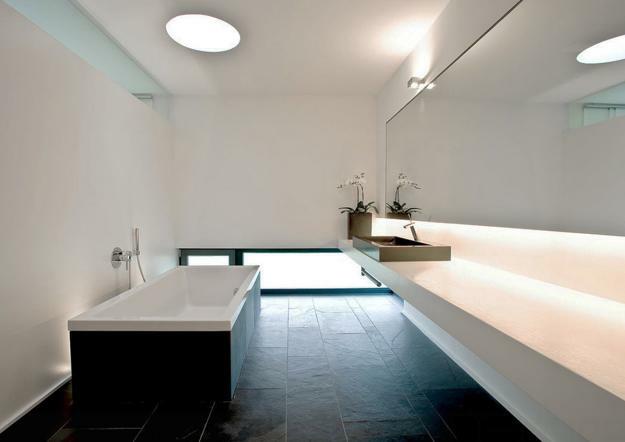 The minimalist style does not waste time on selecting handmade tile designs or spectacular lights. 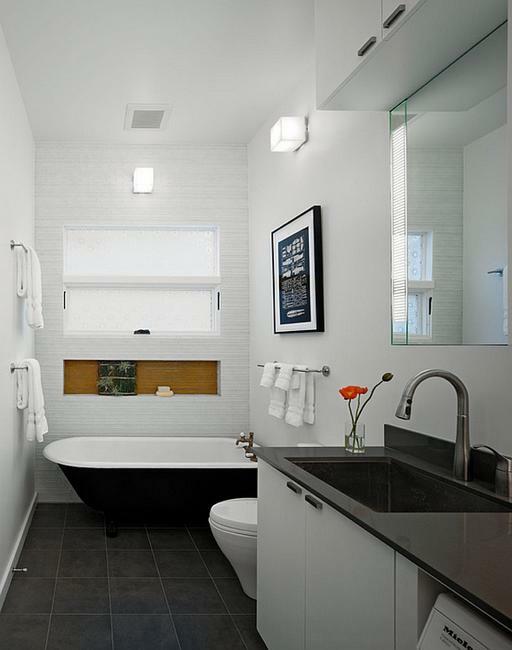 Practical simplicity and comfortable functionality call for efficient light fixtures that are clear and bright. A futuristic vibe of unusual lamps and creative shapes or surprising placement make a statement and add interest to the minimalist interior decorating. 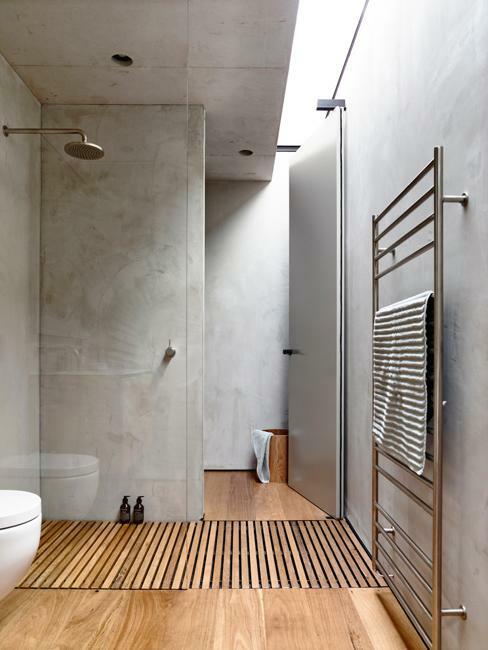 Textures give a hand to the minimalist style and create visual interest in neutral bathrooms. 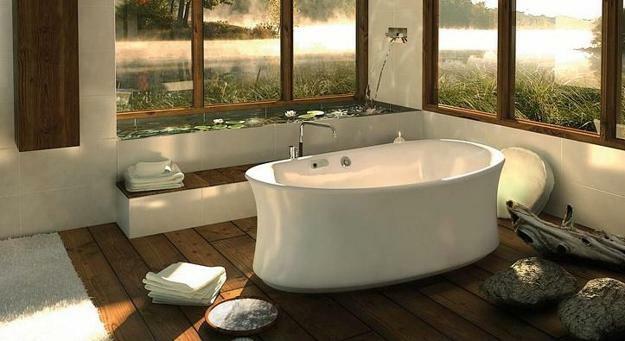 Various materials and finishes, steel, glass, wood and plastic mix to create beautiful bathrooms. 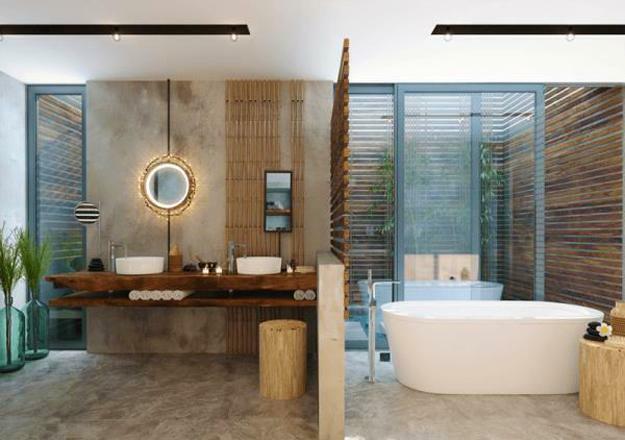 Wooden elements, rattan accents, colored glass lamps, textured tiles designs, eye-catching copper faucets and dazzling clear glass lamps are justs a few ways to spruce up tranquil and serene, peaceful, and calming bathroom interiors in the minimalist style. 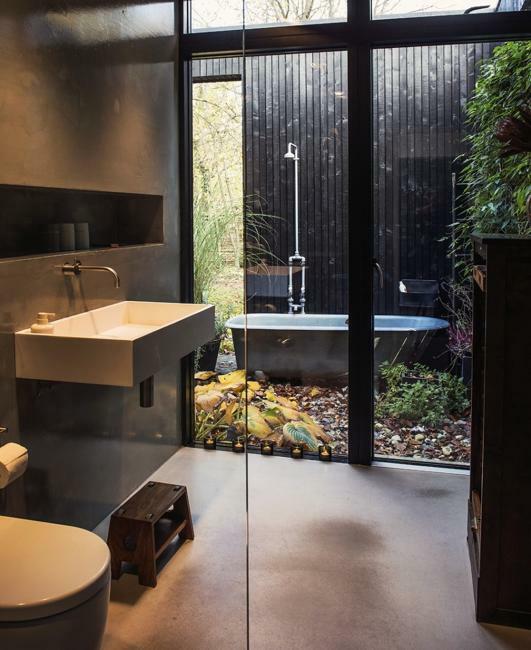 The minimalist style gives a unique character to bathroom design creating clear, bright, and modern interiors decorated with houseplants or greenery in courtyards and gardens. Its versatility is impressive and inspiring. 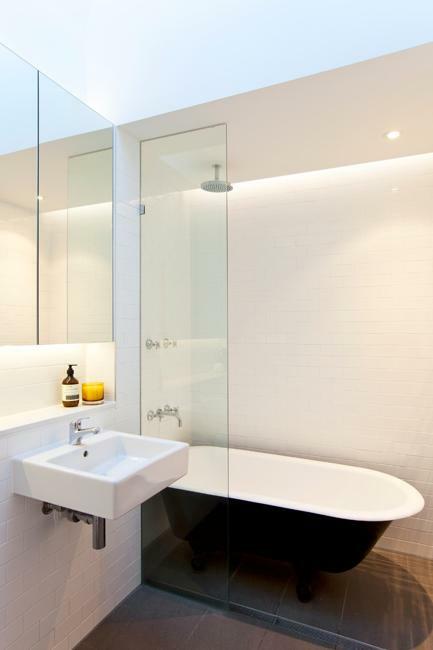 Perfect for decorating small bathrooms, the minimalist style adds chic and luxury to spacious interiors with glass walls and generous windows and turns a bathroom into a beautiful retreat merging with nature.